Thanksgiving is a time of festivities, best enjoyed with family and loved ones. More often than not, it usually involves travel to be with the family and friends for the occasion. If you are flying out from any of the airports from Baltimore Metropolitan Washington Area, Book2Park has a treat for you. You can now enjoy $4 off with coupon code TKSGIVE16 for any of your airport parking reservations until November 28, 2016. Here are some details about our secure parking lots conveniently located within a very short distance of these airports. Book2Park offers 7 options for secure airport parking at BWI, all of whom are located within 3 miles of the airport, closest of which located only 1.1 miles away. All the parking lots are located at 3 Star, and above, hotels with good security. Round the clock shuttle service is available to pick and drop travelers at the airport. The cheapest lot for BWI is available for a very affordable $5 per day only. For DCA long term parking, Book2Park has you well covered with 3 parking options, 2 of which are located within 2 miles of the Reagan National Airport. All the lots have safe, covered parking with free shuttle to and from airport every half hour. If you are flying out for holidays, this offsite option is the best for you if compared to the rates for parking at the airport. You would be lucky to find parking spaces at the airport in holiday rush anyway, so make use of the low rates, extra discount, and safe parking. IAD is one of the busiest airports in the Baltimore Washington Metropolitan Area. Finding a space at the airport can be an uphill task, not to mention the exorbitant prices you have to pay for the space at the airport lot. In comparison, you have the ease of pre-booking your space and pay far less than what you would pay for on-airport parking. With 5 different lots at renowned hotels, options for covered and uncovered lots, and round the clock shuttle service, Book2Park is definitely the best option for Dulles airport parking. In addition to the above, Book2Park customers can also use this coupon code for long term parking at DFW, HOU, MCO, and all of our airport and seaport parking lots. For information on the airports we cover, please visit our locations page. The mayor of Chicago has proposed a rate hike for Midway and O’Hare airport parking, Chicago Tribune reports. This is worth noting that both of these airports already had parking prices in place that had been described as some of the most expensive in the country and could only be described as exorbitant. The proposal was made through an ordinance on Nov 1 and was passed on Nov 7. The increase is a part of the 2017 city budget and the proceeds from the increase are supposed to cover expenses such as airport operations and upgrades. 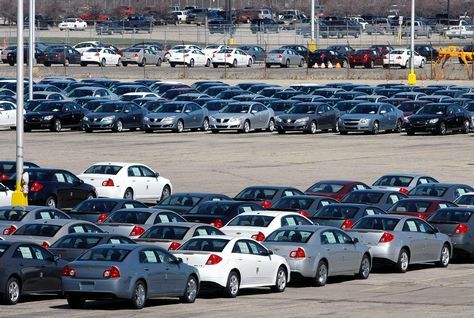 In case you are not aware of the fact, the city of Chicago also makes money by taxing airport parking and stands to make money from increased taxes on the new rates. 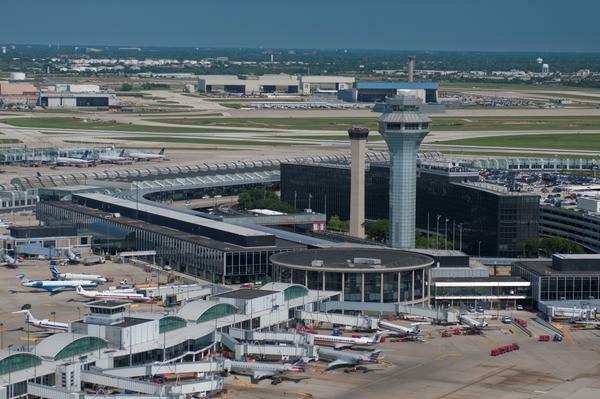 According to Chicago-Sun Times, the proposed hike is expected to generate more than $4 million in parking taxes and about $15 million overall for the airport. According to new details, the maximum charge for parking at the hourly lot is going to jump from $46 to a whopping $59 per day. Similarly, the rates for daily lot would escalate to $32 which used to be $24.75. Valet parking would now amount to $54 from an already quite high of $41.75 with overflow going as high as $30 from the previous figure of $21.75. As can be easily deduced by looking at the old and new figures, the O’Hare airport parking rates were already quite high compared to any city in the country. Even the rates for long term parking at O’Hare are quite high at $17 and $10 per day for Economy E and Economy G respectively. Wouldn’t it be nice to know that you do not have to pay these exorbitant rates and still park your vehicle at a secure lot within a few miles of ORD? With Book2Park’s long term parking rates, it is now possible for you to park your car at a secure, covered parking lot for just $7.25 per day. 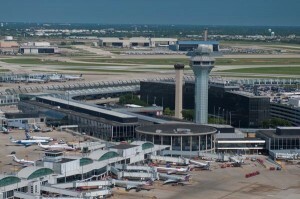 In addition, you get to enjoy free shuttle service to and from the O’Hare airport as well. Book2Park is one the leading provider of remote parking facilities in the country offering cheap and secure parking options for airports and seaports across the nation. In addition to O’Hare parking, we also provide highly affordable rates for long term parking at DFW, IAD, BWI, and DCA. For more information on long term parking at DCA and other locations, please visit our locations page. Have travel plans this Veteran’s Day extended weekend? Now you can save $5 on your Dulles airport parking with a coupon. 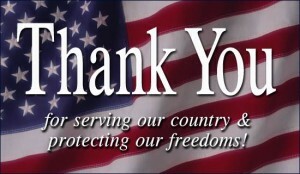 Book2Park is offering this discount to honor the brave men and women who have served our country over the years. 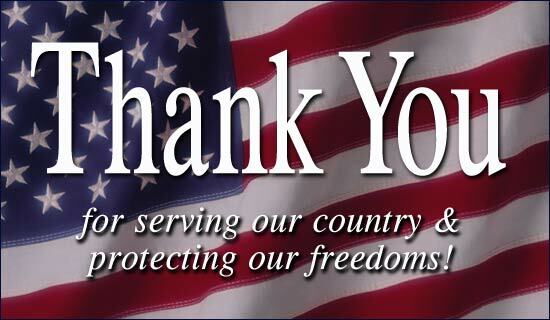 It is worthwhile to note that we are not limiting this discount to veterans but are extending this discount to all of our loyal customers in remembrance of the service of our distinguished veterans. All Book2Park customers can avail this discount by using Coupon code VET2016 when they pre-book their parking. This coupon code is valid till 11/11/16 and cannot be applied to any existing reservations. It is worth noting that we already provide extremely affordable Dulles airport parking rates and by applying this coupon code, our customers will be able to get an even better deal with an absolutely terrific experience of our unmatched services. Exactly How Cheap Is Our IAD Parking? At present, if you park your vehicle at IAD, you will be charged a minimum of $5 per hour for hourly and daily lots with daily parking charges go as high as $30 and $22 respectively. In addition, you need pay $35 for first day and $30 for subsequent days if you opt for valet parking at Dulles. There are some slightly cheaper options in the form of Garages 1 and 2 where the daily rate is $17 while you can have your vehicle parked at economy lot for $10 per day. In comparison, Book2Park offers highly cost-effective long term parking at Dulles. We have multiple lots starting from $5.25 only per day for uncovered parking while covered parking lots are available for just $6. In addition to secure parking lots, the customers will also get free shuttle services to and from to the airport. Please note that you can use this parking coupon for not only IAD port parking but also for any of the locations we offer services for. If you would like to have more information about BWI airport parking and our other partner locations, please visit Book2Park.Com or call us. 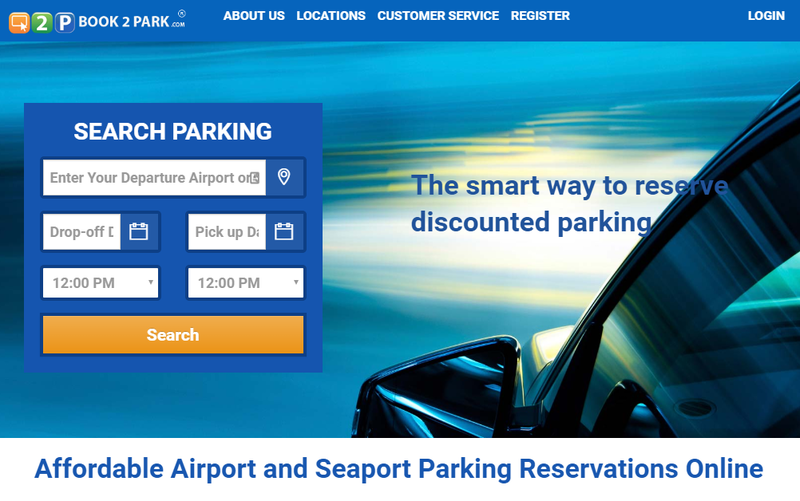 Book2Park, one of the leading providers of off-site airport parking services in the US, has launched a brand new website this month. The new website is aimed at providing the best possible user-experience to our ever-growing, loyal customer pool. In its beta phase, the new website proved to be a huge success in terms of usability testing, easy navigation, and user-friendliness with our customers. We are excited to go ahead with a full-scale launch and are confident that our customers will be able to enjoy our services in an improved and more effective manner. Book2Park has been providing remote parking services for seaports and airports for almost a decade now and is a trusted name in the industry. It operates a substantial partner-network of remote parking across the US as well as Canada. Book2Park has always striven to provide the highest level of customer satisfaction by providing affordable and reliable airport and seaport parking services. Book2Park is one of the leading airport parking providers in the country. Our partner network enables our customers to choose from a wide range of parking options that include multiple lots for single locations, covered and uncovered parking, valet and self-parking, and round the clock shuttle services to the airport. DFW, BWI, HOU, and IAD airport parking are some of our most sought after location along with a broad network of off-site parking. For information on long term parking at DFW, DCA, and other locations, please visit our locations page. According to the new reports, the charges for parking vehicles at the Dallas Fort Worth Airport have been increased effective September 1, 2016. The new pricing has taken the charge for terminal parking from $22 to $24, an increase of almost 10%. It would be worth noting that this is a consecutive third year that DFW parking prices have been increased. In 2014, the airport raised the prices from $18 to $20. Similarly, the prices were raised again in 2015 from $20 to $22. Why Do Airport Parking Prices Keep Going Up? Well, it has mostly to do with constant expansion and renovations that go on at all the major airports to generate more revenue. Off course, they need to generate SOME revenue first to pay for those expansions and renovations, hence the vicious circle of sky rocketing of charges to park on the airport terminals. It is also interesting to note that once those big plans have been completed and the airports start making more money, the prices never go down again. While you may not have a say in the matter, but you have to keep in mind that you are not totally helpless in this matter and do have a choice to pick cost-effective alternatives as a traveler. This low-cost alternative enables you to park at a location very close to the airport at a fraction of the price you have to pay at the airport. Granted, the costs of long term parking at DFW are lower than that of the parking closest to the airport terminal. However, the on-site parking is still much higher than off-airport parking lots. At present, if you park your vehicle at the remote parking lot, you have to pay $10 per day. Now, if you are to be gone for, let’s say two weeks, you would be facing a charge of $140 at your return. In comparison, there are options available for as low as one third of that cost. Book2Park offer safe and secure DFW long term parking services at multiple lots, cheapest of which is for only $3 per day. The lot is located only 3.9 miles from the airport and a shuttle service is available to take you to the airport every hour from 4:00am to 1:00am. In addition to cheap long term parking at DFW, Book2Park also provides cost-effective solutions for parking at IAD, BWI, DCA, and a wide range of major and regional airports across the country. Please visit our locations page to familiarize yourself with the airports covered or give us a call now! The company, Air Fly Limited, were supposed the pick their vehicle from the Airport Parking Lot. However, the family had to wait for more than an hour for the company representative to show up at the parking lot although the family had called 20 minutes prior to their arrival as instructed by the company. As it turned out, there were 5 other families waiting for them to show up, one family had been there for 8 hours. Eventually the driver showed up and collected the keys from all the customers waiting for him. However, this was just the beginning of the ordeal for the family. When they arrived back at the Gatwick airport after a week-long holiday, nobody was there to pick them up. The family made near to 50 calls to the company but couldn’t get anyone. After one hour, one of the family members spotted the car which was still in the short-stay parking area. However, they couldn’t take their car since they had left the keys with the company and ended up taking a taxi costing them £65 to get to their destination. Their predicament finally had a happy ending when the airport authorities agreed to waive off the £400 for one week’s stay at the short term parking after the family explained their situation in detail. This is just one example of the problems faced by countless travelers when they pick the wrong parking garage and such incidents are reported on daily basis in every corner of the globe. You can avoid being one of these horror stories by selecting your airport parking garage carefully. It is always best to find a service provider with proven track record, national presence, and plenty of good reviews. Book2Park provides reliable, secure, and cheap DCA parking along with parking spaces for a wide range of airports and seaports through the U.S. For more information, please visit www.Book2Park.Com. A majority of travelers that are flying out of DFW airport often hope to embark upon their journeys in a stress-free manner. However, this can end quite the opposite way what with the overcrowded airports, heightened security, not pre-booking DFW airport parking and a number of other issues. While there are factors that can’t be controlled or avoided, travelers can take a few steps to ensure a relatively stress-free trip and an enjoyable journey. Here are a few hacks that can help you achieve that. Dread the long lines at security checkpoints? There is a way to get through the lines early. A majority of your fellow travelers are right handed and will often pick the security lane on the right side. By going left, you can get through the security in less time since the left lines are relatively shorter. It has been known to happen when you download your boarding pass to your smartphone but are unable to find it after arriving at the boarding gate. In addition, the airline apps can freeze out at the wrong moment and you can avoid this situation by simply taking a screenshot of the boarding pass. If you are not familiar with the airport layout and where the various gates are situated, you might end up going to and fro in the case of your flight changing gates. There are a number of Apps that provide alerts in such a situation in addition to providing other useful in such as travel tips, places to find good but cheap meals, and other pertinent info. Not getting a pre-booking for your vehicle’s parking can turn out to be an expensive gamble. If, upon arriving at off-airport parking garages you are unable to find a parking spot, you may not have a choice but to park at more expensive on-airport parking which can rack up a heft bill by the time you return. Book2Park offers multiple choices for cheap, long term Dallas Fort Worth Airport parking. The lots are located within a few miles of the airport with round the clock free shuttle service to the airport. For more info about the lots in Dallas and other locations, please visit www.Book2Park.Com. It is always nice to be heading off to exotic, foreign locations for your family vacations. However, ill-planned vacations can be a nightmare instead of being the enjoyable experience you were hoping for. This is especially applicable to families who are traveling with young kids and haven’t really given much thought to their travel arrangements. Below, we have shared some tips for making your vacations a truly memorable experience. If you are traveling overseas, the trip is bound to be a long one and you must be gone for at least a week. In such a situation, it is advisable to use an off-airport facility to park your vehicle since it is a much cheaper option. For travelers flying out of Washington Metropolitan Area, there are multiple options for long term parking at DCA, IAD, and BWI that will cost you half of what you may pay at the on-airport parking. Similarly, it would be better to have your airport transfer arranged in advance for your destinations. There is nothing worse than a screaming child in a long flight. This not only gets on your nerves but annoys the heck out of your fellow passengers. It is advisable to have a few items with you that the child has interest in – like his or her favorite toys – and can be soothed with if irritated, which, by the way is bound to happen in long flight. If you have a toddler accompanying you, it would be better to have a sling handy. This way, you would be more at ease to handle luggage and take care of stuff having both hands free. It is one of the first things to consider while planning your vacations. If hotels and resorts at your destination are not child-friendly, maybe you should consider other alternatives. There can be hotels that do not provide meals appropriate for small children and you don’t want to find that out at the worst possible moment i.e. when you have arrived at your hotel. Book2Park provides a wide range of choices for BWI long term parking along with other airports in Washington Metropolitan Area as well as airport parking across the United States. For more information, please visit Book2Park.Com. If you’re are a person who is aware on how to save money, you can have a great spring Break trip and not come back home without any money left. Take some time to plan your trip, budget your finances, and cut back on unnecessary expenditures. You’ll be surprised at what you’ll have saved by the time you leave. Here are a few tips that will help you during your vacation. • Trust your instincts. If you feel unsafe in any situation, go with your gut. If you feel uncomfortable or something doesn’t feel right, leave and get to a safe place immediately. • Protect your location on Facebook, Twitter, Instagram etc: If someone you don’t know or trust asks you to go somewhere alone, let him or her know that you would rather stay with the group. Use any excuse you can think of to get out of a difficult situation. • Don’t let your guard down: A spring break destination can create a false sense of security. Don’t assume that fellow spring breakers will look out for your best interests, remember they are essentially strangers. We hope these tips are useful to you!Enjoy your Spring Break! Cheers! Christmas is the perfect time, not just to open presents but to open our hearts, to celebrate the joy of this wonderful time and have fun with family, friends and loved ones. - Organize a Christmas gift list. 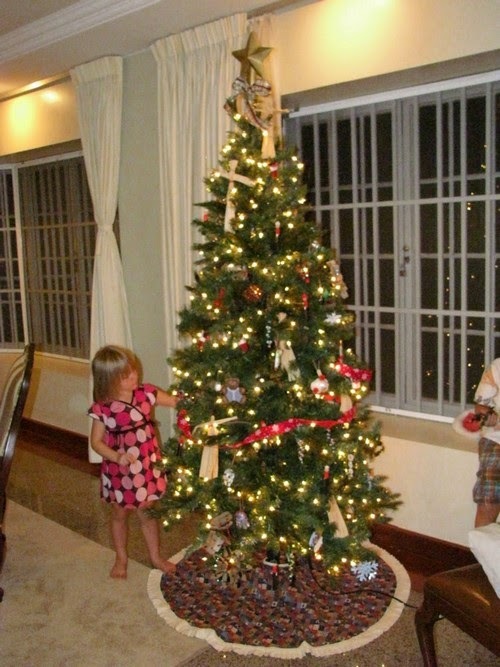 – Clean your house and set up the Christmas tree with you kids. 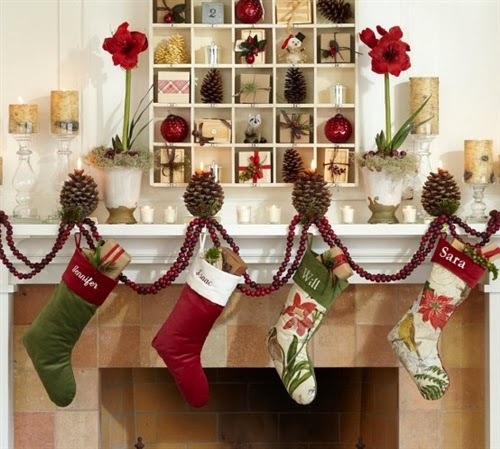 - Decorate your house with Holiday ornaments. - Make a list of the people you are going to invite over, like family and friends for the Holiday party. - Search for the music you are going to play at the party you are preparing for the Holidays. – Have fun and create Christmas costumes. - Prepare and defrost the turkey few days in advance. 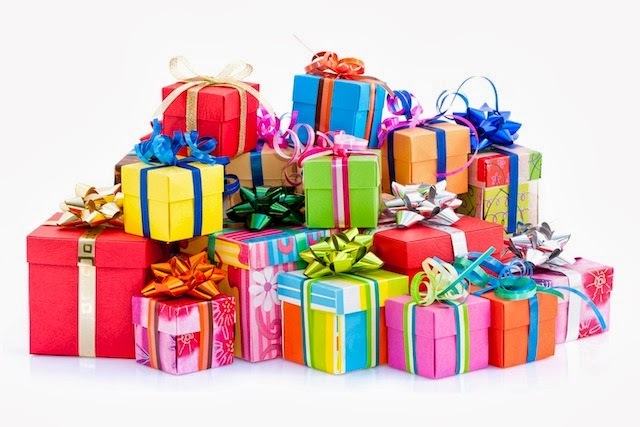 – Shop your Christmas gifts in late November to early December before the Christmas shopping rush hits. – Thank God for everything he had given you all over the year. Using these tips will allow you to have an unforgettable Holiday experience and it will help you build lasting memories. Anna Infante on Traveling tips to enjoy and discover 3rd world countries! Anna Infante on Don’t take life for granted! 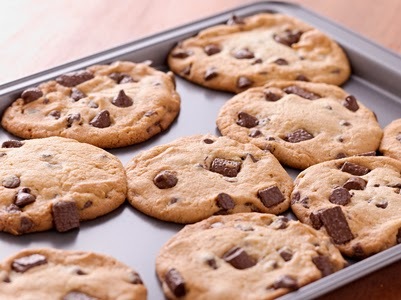 Anna Infante on How to make traveling on Holidays a bonding experience with the Family?